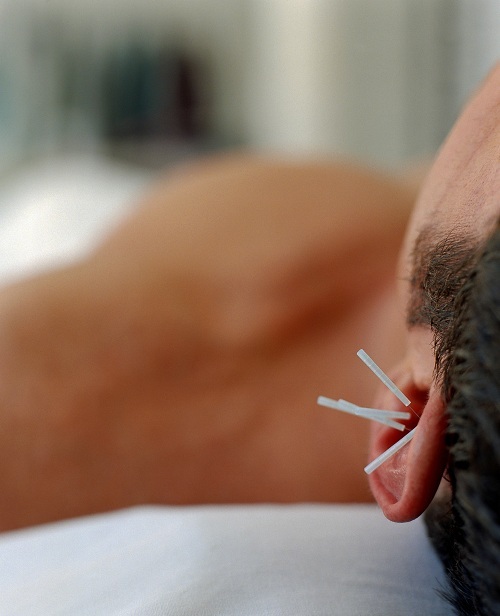 Acupuncture Showing Promising Results for PTSD in Clinical Trials in the Military. This is a great article regarding current research for naturally treating PTSD. The effectiveness of acupuncture for the treatment of post-traumatic stress disorder (PTSD) is encouraging, according to a systematic review in Evidence-Based Complementary and Alternative Medicine. The study, titled “Acupuncture for Posttraumatic Stress Disorder: A Systematic Review of Randomized Controlled Trials and Prospective Clinical Trials” was written by researchers at Pusan National University in Korea and Won-Kwang University in Korea in collaboration with Samueli Institute in Alexandria, Va. This systematic review points to studies that have shown acupuncture, combined with moxibustion, a traditional Chinese herbs treatment, to be superior to antidepressant drugs (SSRI), and just as effective as a cognitive behavioral therapy (CBT) intervention. PTSD is currently treated with trauma-focused CBT, stress inoculation training, and medication. Complementary and alternative (CAM) therapies are also used by mental health consumers, including veterans. In fact a study released earlier this year in the Journal of Alternative and Complementary Medicine showed active duty members overall use of complementary and alternative medicine (44.5%) is higher than in comparable civilian surveys (38.3%). Acupuncture is used is widely used to treat mental disorders such as anxiety. Four randomized controlled trials (RCTs) and two uncontrolled clinical trials (UCTs) out of 136 articles in 23 electronic databases were systematically reviewed to evaluate the current evidence for effectiveness of acupuncture for PTSD. The majority of studies reviewed found no statistical difference between acupuncture’s effectiveness in treatment of PTSD compared to traditional therapies. Combining traditional Chinese herbs treatments with acupuncture however did show superior results to traditional therapies, including antidepressant drugs. Samueli Institute has worked collaboratively with the U.S. military for more than a decade to apply rigorous science and evaluate the impact of complementary and integrative medicine on the symptoms related to PTSD. The study in Evidence-Based Complementary and Alternative Medicine was authored by Young-Dae Kim, In Heo, Byung-Cheul Shin, Cindy Crawford, Hyung-Won Kang and Jung-Hwa Lim. ← Check Out Our New Event!